A lot of people is surprised by the fact that, with their families, they can enjoy one-day or a weekend trip, very easily and for affordable price, in one of the neighbouring countries. 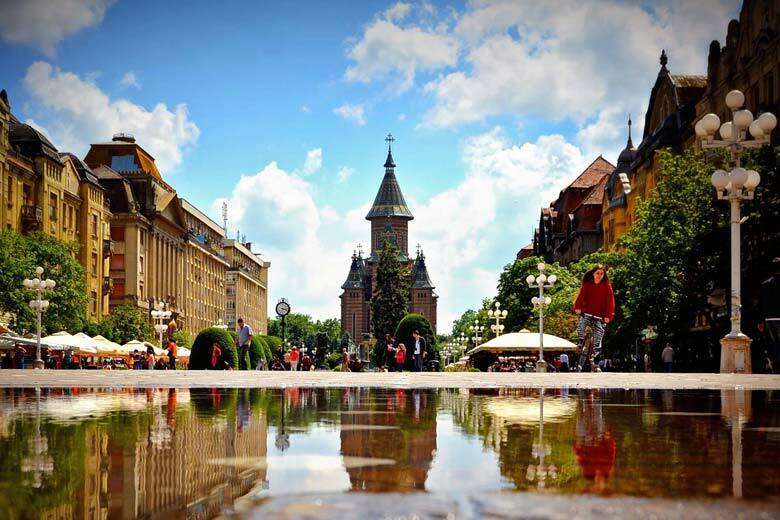 For that reason, we wholeheartedly recommend Timisoara in neighbouring Romania, which has literally flourished into one stunning, interesting and, in so many ways, significant tourist place for the last twenty years. As we previously mentioned, it is just a couple of hours away from Belgrade, and it is suitable for visiting at any time of the year. It is equally beautiful, fun and affordable when it comes to the prices of enjoying the exceptional food or shopping in one of the largest shopping centres in Europe. It is beautiful for walking in wide streets, squares, arranged parks and enjoying warm drinks or refreshments in fine, isolated corners of the cafés and restaurants. We take this opportunity to mention timeless Roses Park, which is located near Romanian Orthodox Metropolitan Church, and which is a must-see landmark. Also, there are numerous memorable squares, churches, endowments and legacies that date from the 18th and 19th century, worth of everybody’s attention. Timisoara is also referred to as Small Vienna since its central part genuinely resembles the old looks of Vienna with its magnificent and memorable architecture. Each building and legacy have a story of their own, as well as the extraordinary uniqueness which they emanate. Since it is a city of flat land, don’t be scared by a little wind, because you will certainly experience a full enjoyment regardless of weather. Therefore, make necessary arrangements for your first next weekend break and treat yourself to visiting the city which will fill you with energy till your next trip.